Almost a year after Coca Cola introduced a Stevia sweetened drink to Argentina, Pepsico Canada has introduced Pepsi Next. In fact, it is being rolled out across the country this month, from its starting point in the Pepsi stronghold of Quebec. 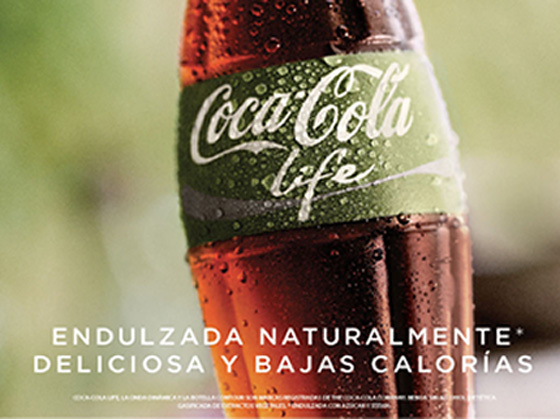 In Argentina, Coca Cola Life reduces the sugar content by 60 percent. In Canada and Australia, Pepsi Next will only manage a 30% reduction, with the difference made up by sugar. The Stevia input means a significant reduction in calories, sodium and carbohydrates. Oddly, Pepsi Next in the Excited States will continue to contain artificial sweeteners. For my self-directed taste test, I followed the ideal-soft-drink-tasting-method as described by a friend of my family when I was growing up. He was a local bottler of Coca Cola at a time when there actually were independent bottlers across the country in each province, unlike the monolithic corporate soft drink makers of today. The soft drink should be chilled and poured into glass filled with ice. One should note the effervescence, the aroma and finally the taste. Just like wine, the nose is all important to providing that first hint of flavour and taste. Savour the initial taste. Linger. Enjoy. Well, that was then and this is now. Nobody has time for all that stuff and there isn't any ice in the house anyway. I unscrewed the cap and took a generous gulp from the bottle and then finished it off. Impressions? Well, I grew up a Coca Cola drinker and it isn't easy to shake that taste standard, if one can have a standard for coloured, sweetened water. I now find regular Coke and Pepsi a bit too sweet for my liking. I like Coke Zero but not the Pepsi equivalent. That being said, I have always liked the taste of Pepsi and its added hint of cinnamon. However, this is not a regular Pepsi. Pepsi Next was okay, but not great. It's not as flavourful as regular Pepsi and there was a tiny aftertaste I didn't like at all, not that I gave much time for the aftertaste. It wasn't as sweet as I might have expected; probably a good thing. I don't particularly like the colour of the blue on the bottle's label either; it doesn't seem a natural looking blue for a drink boasting about its naturalness. This might be a tough sell. After a what seemed a month of snow and cold, followed by heavy rains, spring has finally appeared on the south coast. Temperatures today will reach about fourteen! The sun is warm, the days are longer and the birds are singing. The crocus flowers are popping up too. This is a beautiful time of the year. Crocuses, or croci, are actually from the iris family, except on the Canadian prairie where they are related to the buttercup group. Crocuses are often the first sign of spring in the northern hemisphere, across much of North America, Europe, north Africa, and Asia, and with the sun finally warming the south coast... maybe spring is finally here. Or will the rains return this weekend? This one has over 18,000 words. They are the names of 18,000 children, women and men. Something terrible is happening in the Yarmouk Refugee Camp outside Damascus. The people of the region have seen much cruelty and many atrocities over the years. on a large scale has little to do with the region, even at its worst. of over 18,000 Palestinian refugees by the Syrian regime. Starving civilians as a method of warfare is a war crime. and from Foreign Affairs, an essay from Hussein Ibish. There is also the latest report from Amnesty International. 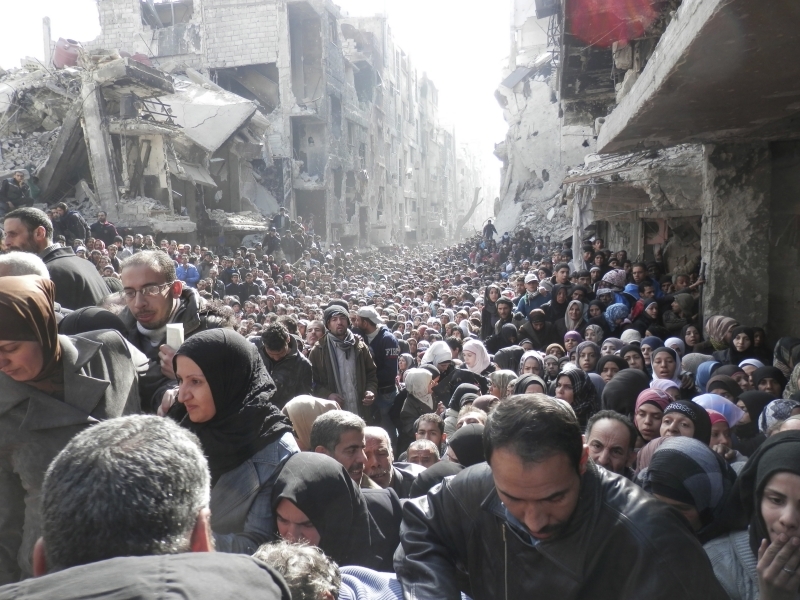 What the people of Yarmouk Refugee Camp need is action. Take action by signing the petition organised by AI. Coca Cola recently released a new ad in Argentina and Chile for Coke Life. The ad, made in Buenos Aires by an Argentinian ad agency, is getting rave reviews from viewers and advertising people alike. Set to a song produced in 1967 by the Bee Gees of all people, this ad is delicious in its warmth and humour, and in the celebration of life, which is exactly what the Coca Cola Company had in mind. Coca Cola Life is, in this ad, as natural as life itself. About a year ago, we were nearing the end of almost three months in BA, and by this time we were accustomed to seeing soft drinks being sold everywhere, with large sections of mercados and kioskos devoted to the products of Pepsi and Coca Cola. It was not uncommon to see business people in finer restaurants drinking Coke with their meals. Argentina aside, global sales of soft drinks have actually declined in recent years due to increasing concern about sugar consumption and obesity, and rather serious worries about artificial sweeteners like Aspartame. Both Pepsico and Coca Cola Company are desperate to turn things around with some sort of natural, healthy, low-calorie alternative to sugar, which is all rather odd as sugar itself can be both natural and healthy in limited amounts. We haven't yet come to terms with realizing that adding large amounts of sugar, or artificial sweeteners, and caffeine to coloured water might be the real problem. Nor have we been keen to look at the huge profits being made in selling coloured water, or in the sale of bottled municipally-produced tap water, especially in public spaces like schools, playgrounds and community centres where water fountains are being replaced by revenue generation platforms, aided of course by large transnational corporations. But I digress. Rumours about a new Coke product being released to meet consumer concerns were making the rounds while we were in Argentina and in June 2013, Coca Cola Life was introduced. Coke Life was the first soft drink to use the Stevia extract as a substitute for sugar, and Argentina was the test, for both the product and its marketing. The extract comes from the leaves of the Stevia plant and is considered to be over 200 times sweeter than conventional sugar and without any kilojoules/calories. There are some taste and after-taste issues with Stevia, hence the need to keep some sugar in the mix. The first television ad for Coke Life in Argentina likened the new soft drink to a first kiss. The ad, and the product, became immensely popular in Argentina, but the newest ad is a global home run. The Bee Gees are probably happy too. And how could anyone knock "life" never mind the contents. Coca Cola Life is expected to be introduced to North America sometime this year, probably sooner now that Pepsico has introduced Pepsi Next to Canada. Coca Cola Life image from Coca Cola Argentina. Buenos Aires photo by Jim Murray. Copyright 2014.